This very well kept 2 Bedroom- 2 Bathroom also has a DEN or 3rd Bedroom! 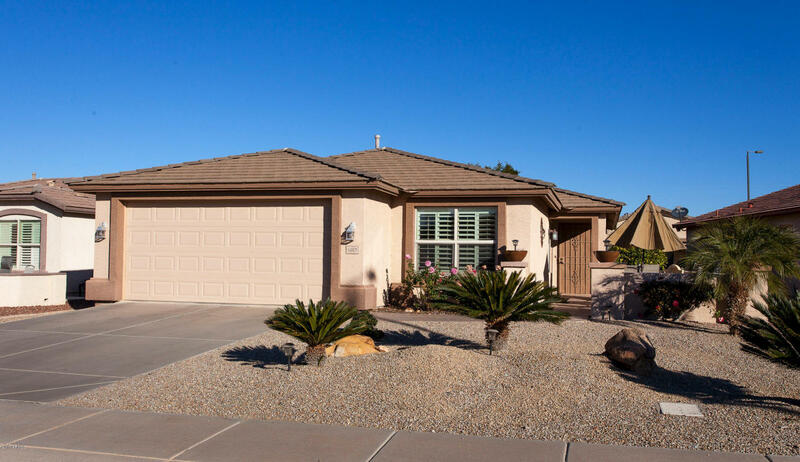 The ''OASIS'' was one of Pulte's most popular models! The open floorplan features a great room and split Master Bedroom! The Master Bathroom includes Separate Tub and Shower, and a walk in closet! The kitchen has upgraded cabinets and granite counters. This home has TWO outdoor patios. One in the front to enjoy our warm winter weather. As the summer months heat up, a covered NORTH facing patio that is shaded from the sun. The very private and guard gated Springfield Lakes includes a golf course community pools/spas and a large community room with scheduled activities.